Finally huh? Better late than never. Gamescom has been good to the Vita. 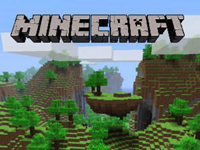 At Gamescom today, Minecraft was announced for the PS4. Eventually a tweet emerged saying that the PS3 and Vita would also be getting this. Did this mean Vita via remote play? Or a standalone port? Will report on this one as soon as we find out more information.